LASEROPTEK’s cutting-edge laser technology, the spatial distribution of laser beam is designed to be uniform, and side effects such as Hyper-pigmentation or Hypo-pigmentation, which happens during treatment with a not uniformly distributed laser beam, is reduced remarkably. It is also designed to keep a stable energy with a uniform beam profile during long time operation at maximum repetition rates. The spatial distribution of laser beam is designed to be uniform, and side effects such as Burn scar or Hypo-pigmentation, which occurs after treatment with a not uniformly distributed laser beam, is reduced remarkably Heat as low as 42ºC induces melanocyte proliferation and melanogenesis by increasing growth of cell body & dendrites, increasing cell replication, and increasing tyrosinase activity. Heat from various photothermolysis procedures can worsen pigmentary disorders by increasing melanin production and/or stimulating melanin transfer. 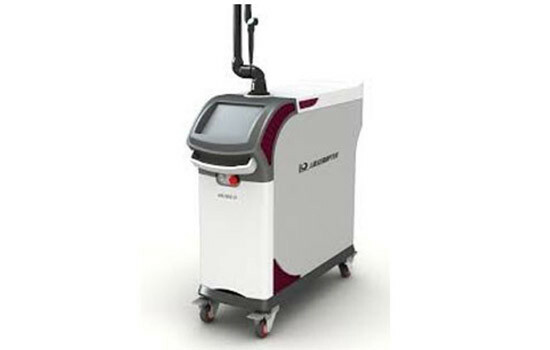 The Minimal Exposure time of the laser beam due to fractional delivery, also minimized damage to the epidermis, therefore shortening recovery time. The Cell mode and fractional delivery allow the Helios II to treat even the most resistant skin conditions effectively, with minimal risk of scarring and with no downtime or discomfort.